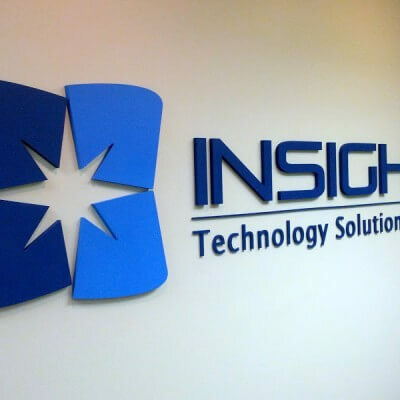 Beautiful Brushed Steel Letters designed and manufactured by Designs & Signs in Edgewater, Maryland. 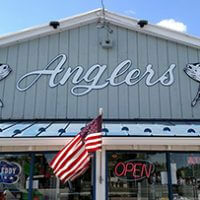 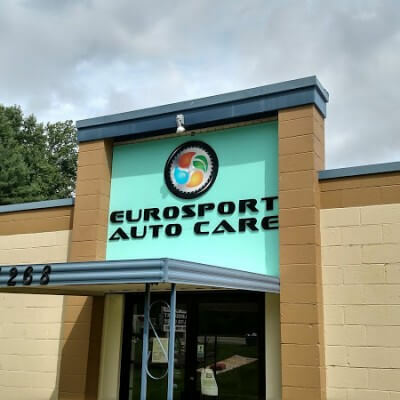 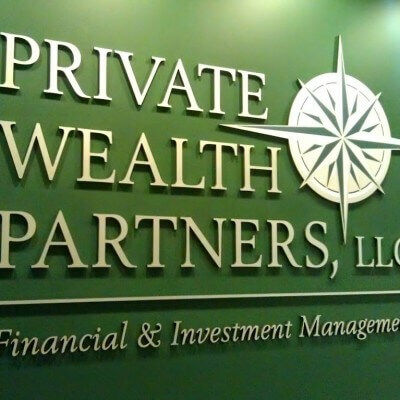 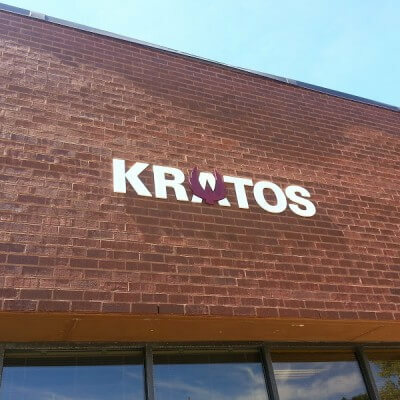 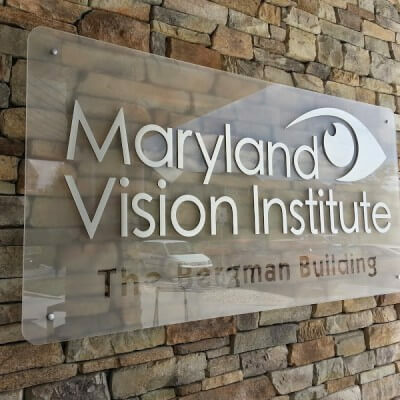 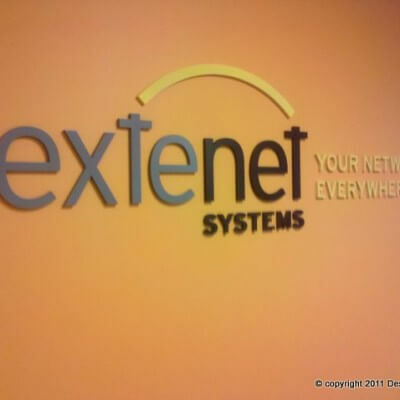 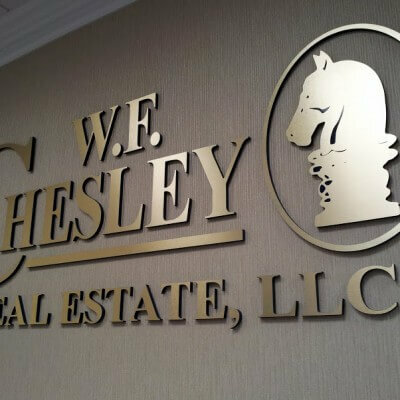 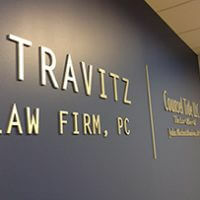 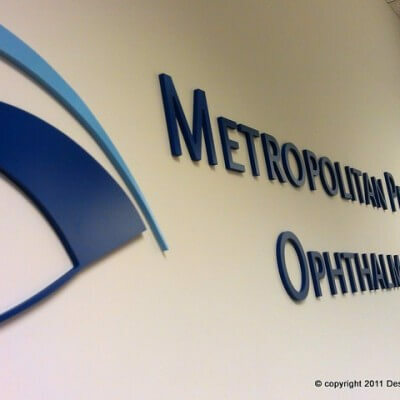 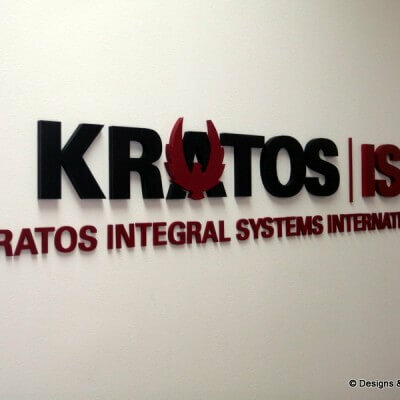 We create dimensional letters and logos for businesses in Annapolis and the greater Washington DC area. 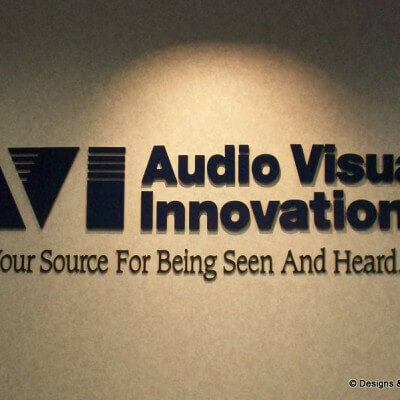 Show off your business with classy dimensional letters and logos! 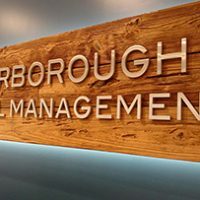 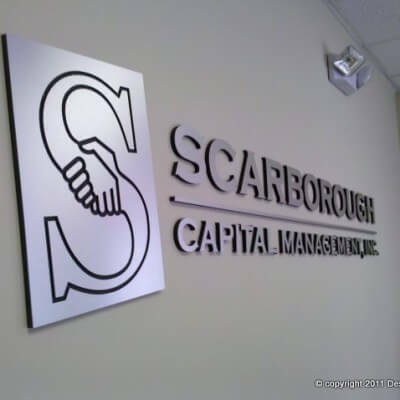 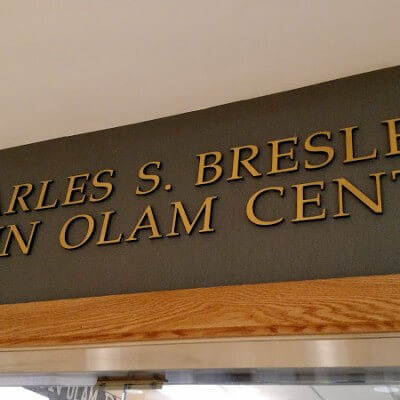 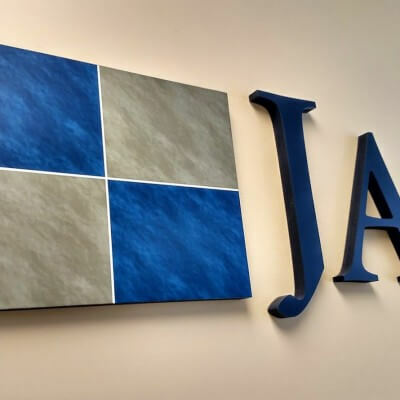 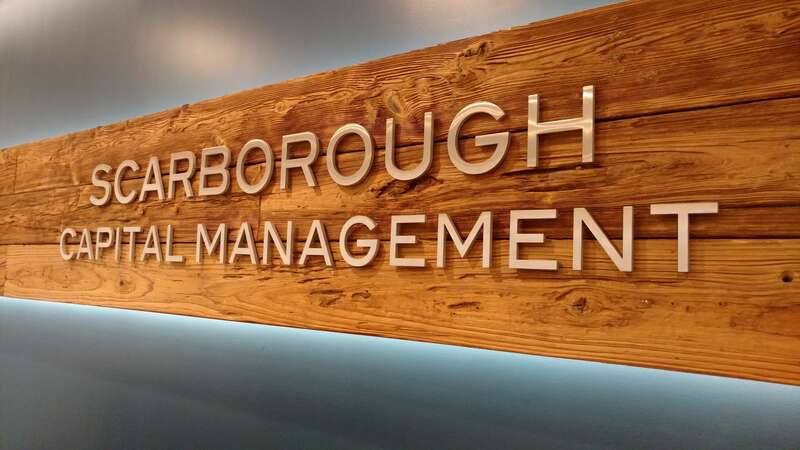 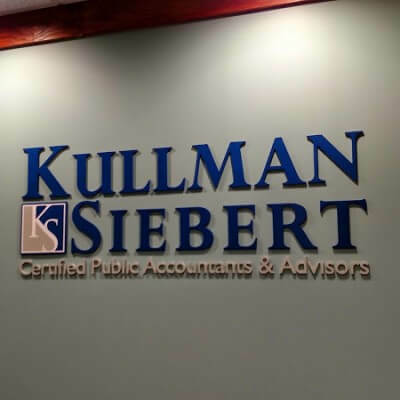 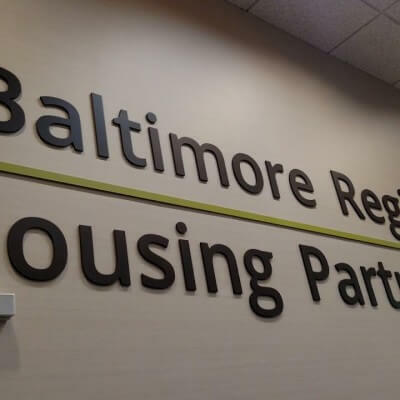 A very good friend of ours, from Scarborough Capital Management asked Designs & Signs to make and install some high quality dimensional letters at their new office in Annapolis, Maryland. 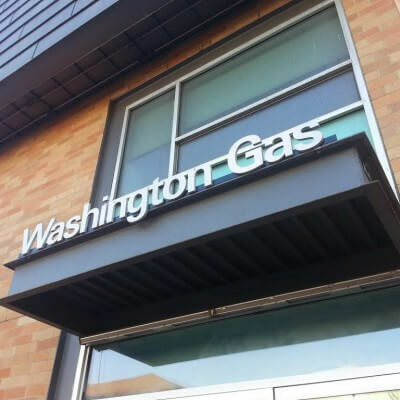 We suggested creating a solid plate brushed stainless steel letter. 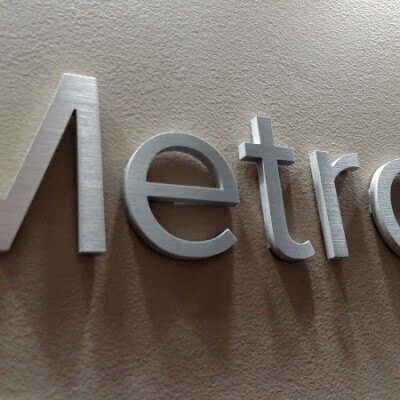 The letters are cut out of plate steel using a CNC water jet cutting machine. 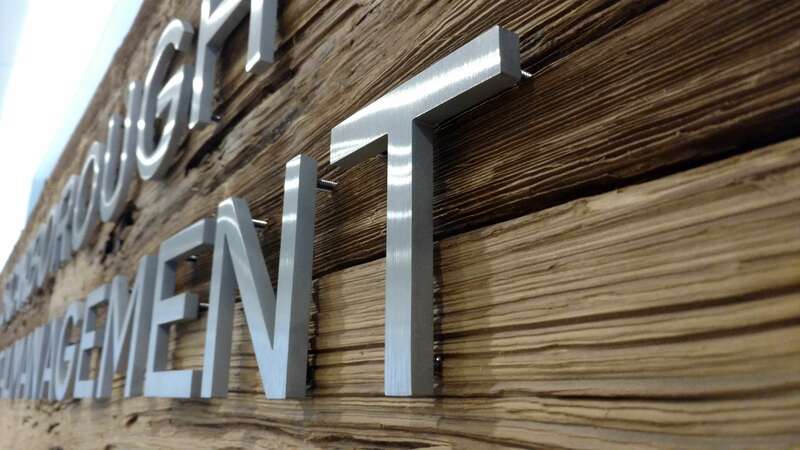 The edge of every letter is then polished by hand and the faces are finished with a horizontal brushed texture. The existing sign face is made with recovered timber and runs the full length of the wall behind the reception desk. The timbers are backlit and the stainless steel brushed letters are mounted into the timbers with stainless steel pins and spaced about a quarter inch from the timbers. 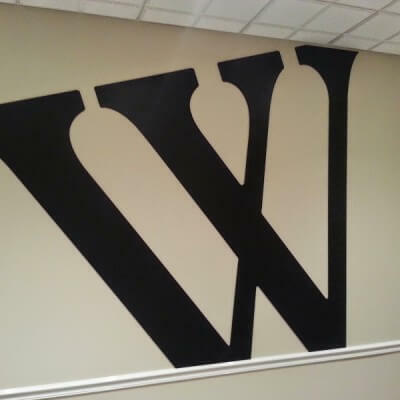 The spacing was bit tricky because of the uneven installation surface but we got it just right!